This artwork was shown during the Winterlicht 2013 exhibition Schiedam. 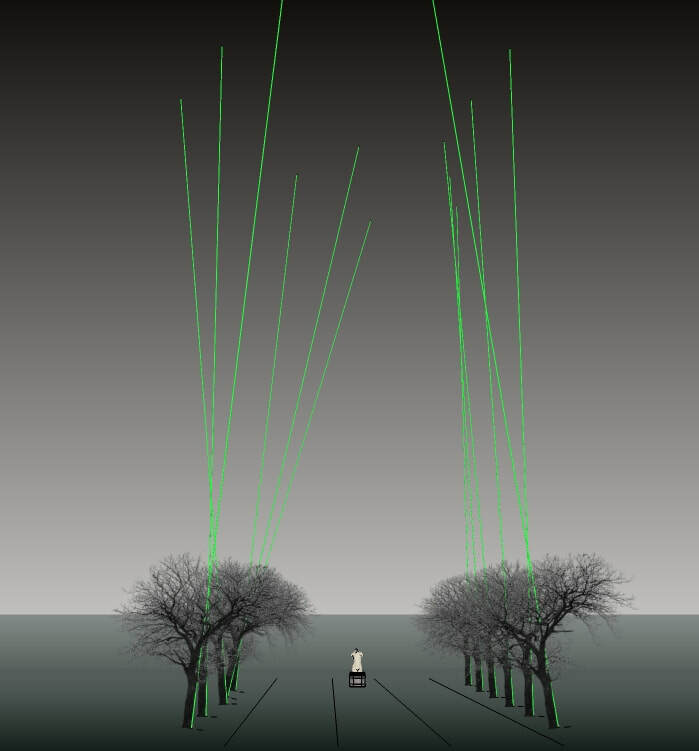 At the entrance of the park you enter a straight lane with six trees on both sides. 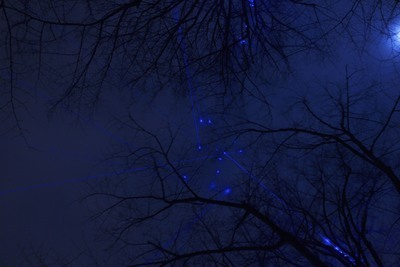 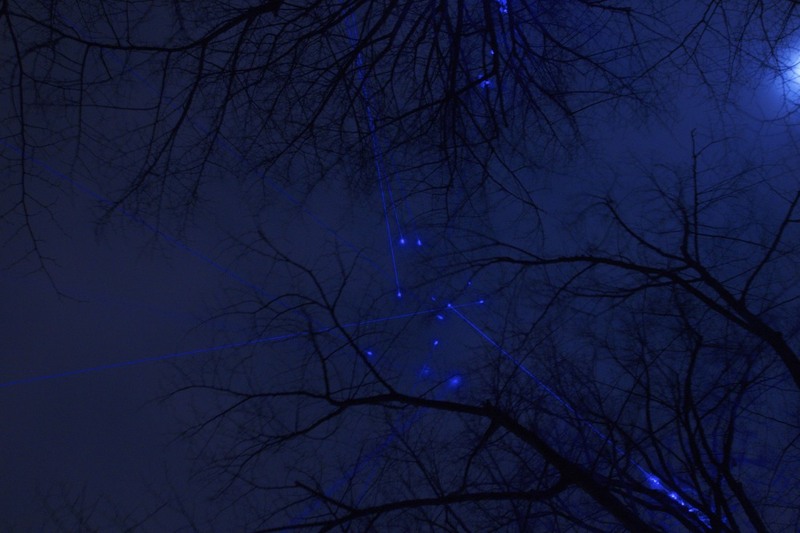 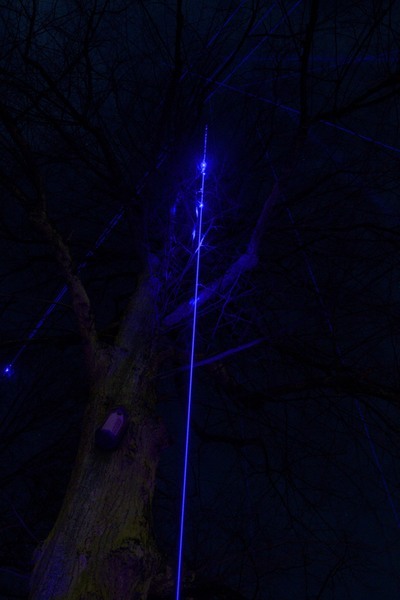 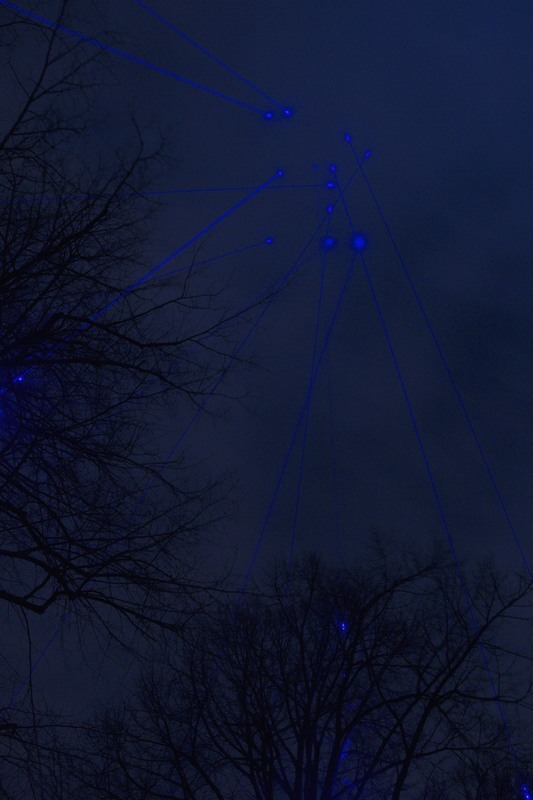 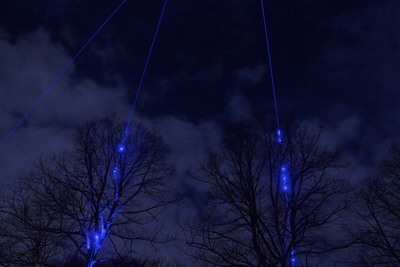 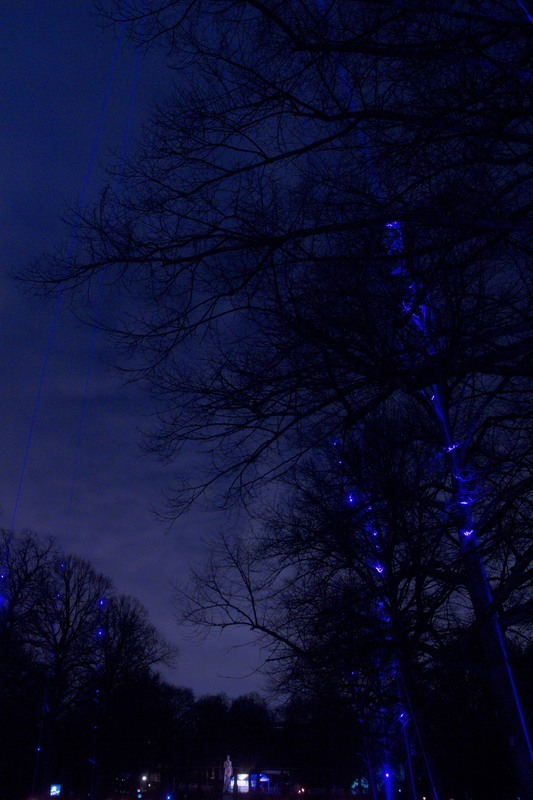 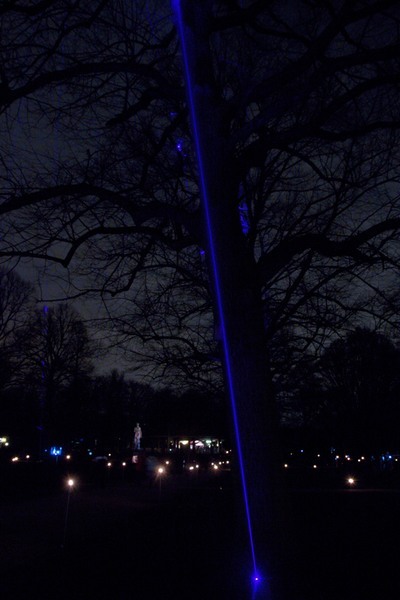 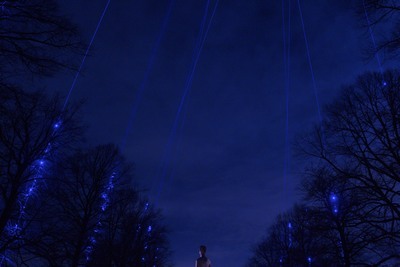 I placed blue laser lights at the trunk of each tree. 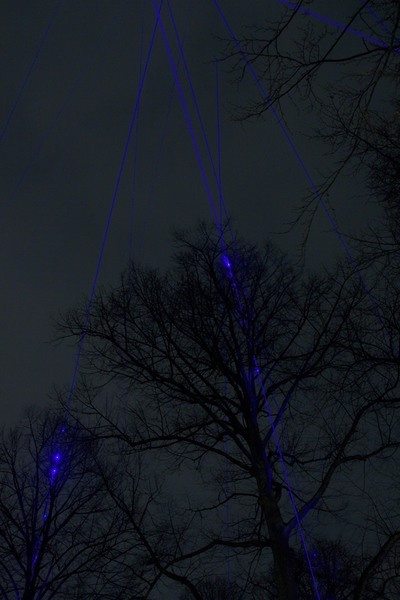 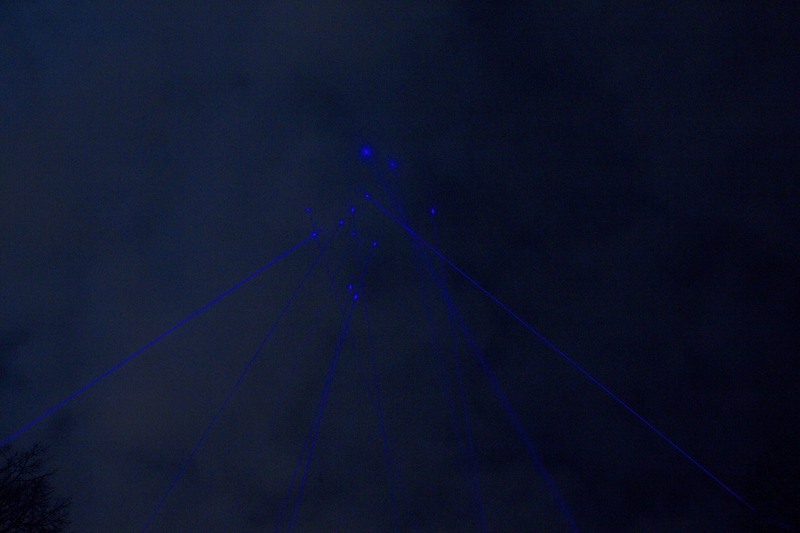 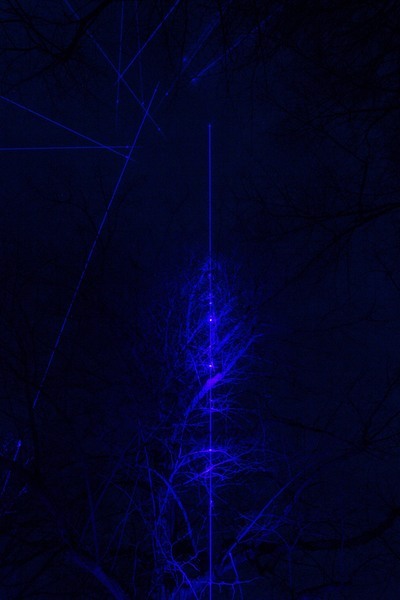 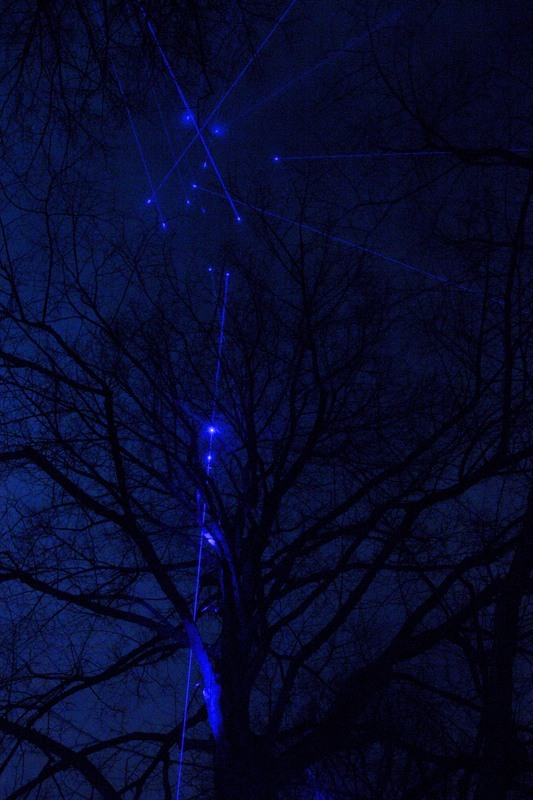 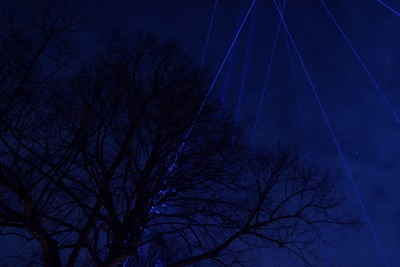 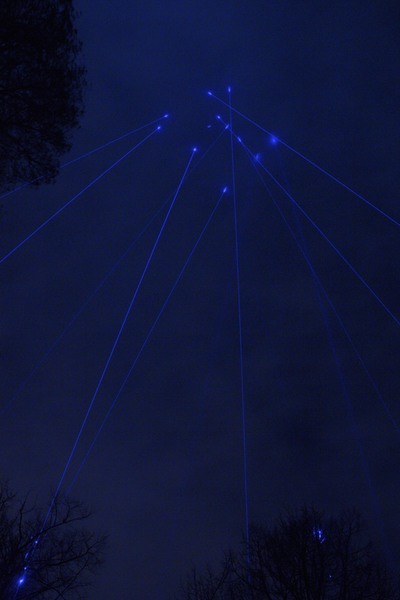 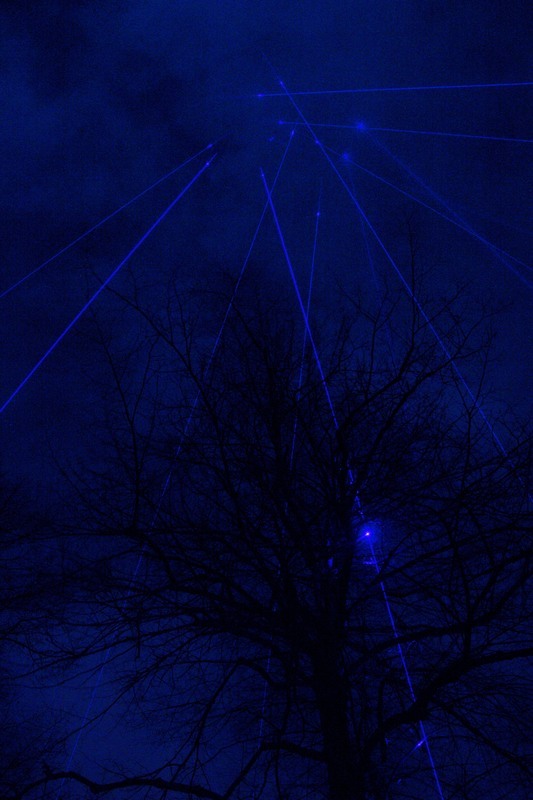 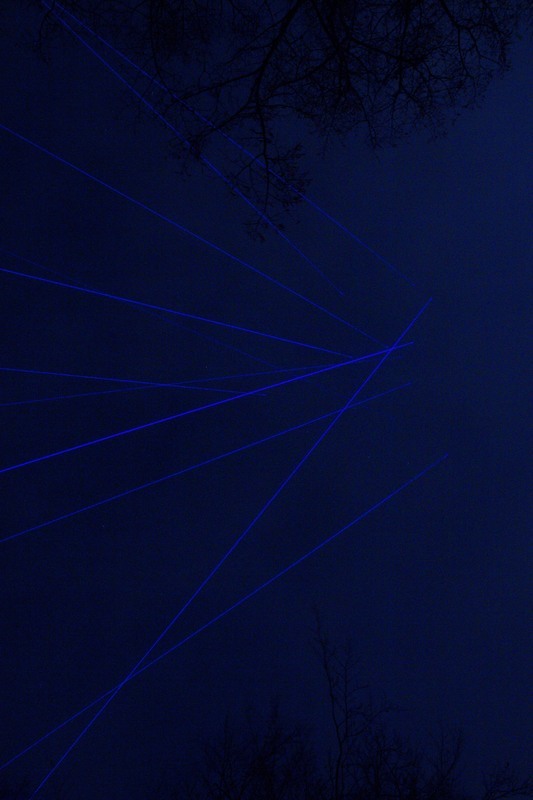 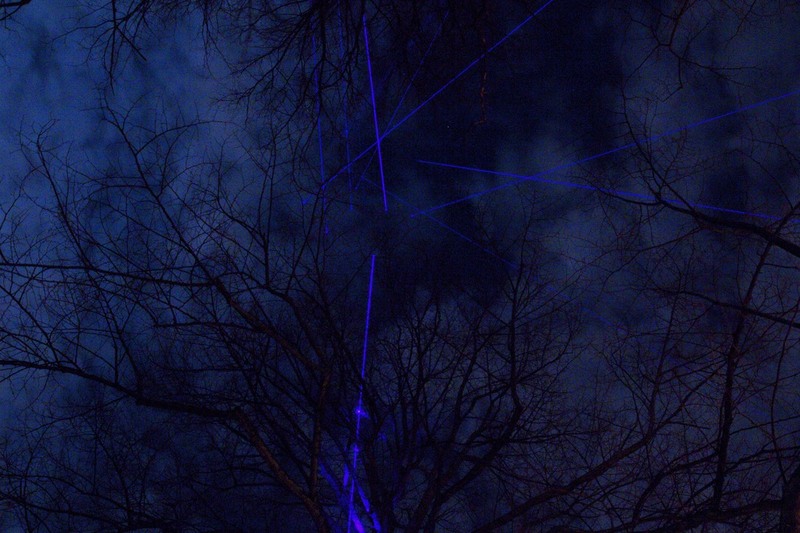 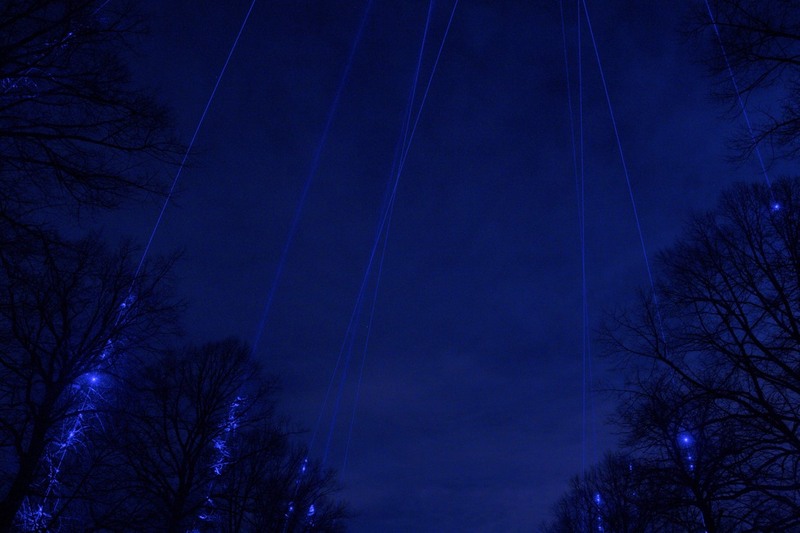 These laser lines followed the trunks and met above in the sky. Even though the trees are planted in a straight row this artwork showed the different growing directions of each tree. ﻿Kunstwerk gemaakt voor de Winterlicht 2013 tentoonstelling in Schiedam. 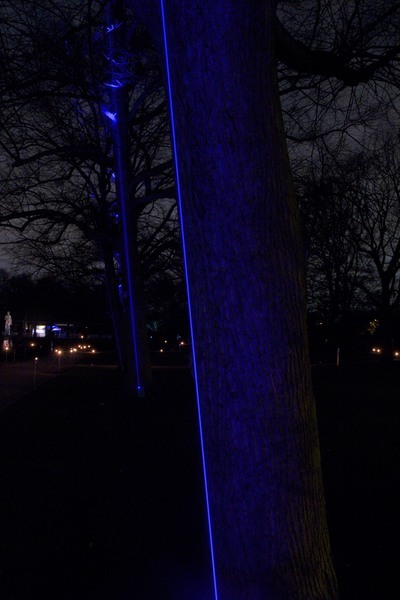 Bij de hoofdingang van het Julianapark is een laan met aan beide kanten een regelmatige rij van zes bomen.